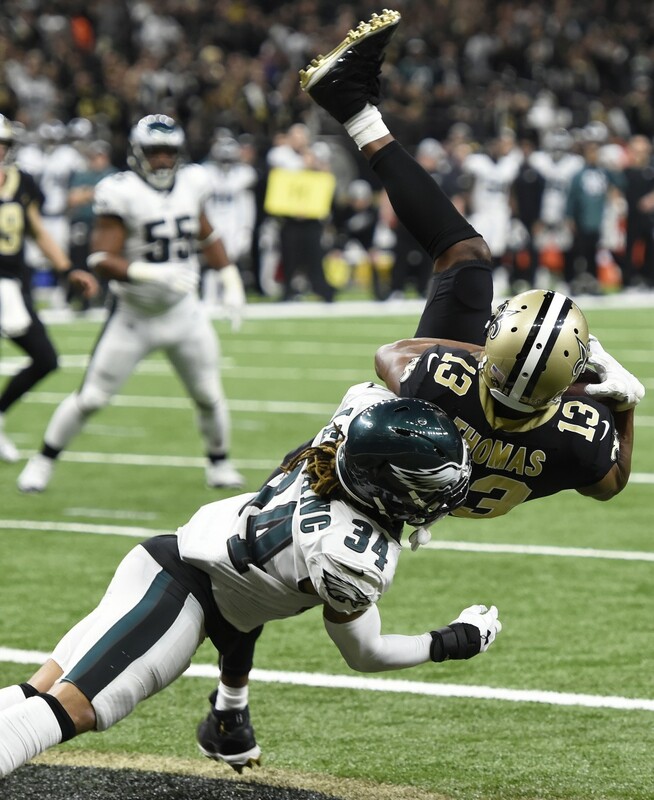 NEW ORLEANS (AP) — The New Orleans Saints got two touchdown passes from Drew Brees, two interceptions by Marcus Lattimore, and rallied from a 14-point deficit to beat the Philadelphia Eagles 20-14 Sunday to advance to the NFC championship game. Los Angeles, which fell 45-35 at the Superdome in November, will try again next week, with the winner taking on either Kansas City or New England in the Super Bowl in Atlanta. The Saints' win finished off a sweep of the divisional round by teams coming off byes.